Roadside scene, north of the city of Banja Luka. 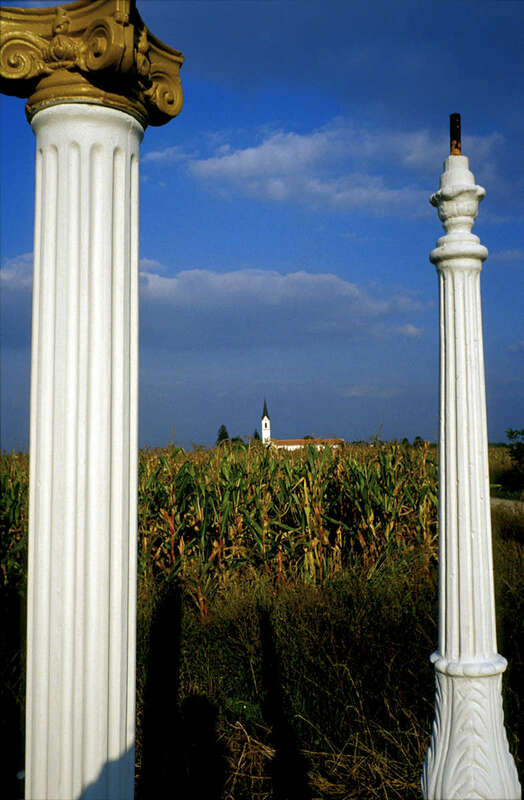 Non-Traditional architectural decorations such as painted columns and swans have become popular among many returning refugees who lived elsewhere during the war. More than 40 percent of the country\'s housing stock was destroyed during the 1992-95 war.